An impressive 95¬decibel dynamic range is made possible through the use of patented V2 technology and of the finest high-end materials. This lightweight precision cartridge weighs only seven grams. It is the result of highly devotional microscopic craftsmanship – mastery of perfection in design and material selection. Important ingredients are a body of long-aged ebony, a precisely ground twelve finger platform and coils of 24-gold. The result: a stunning listening experience of almost unbelievable transparency and depth. A name to live up to. Meticulousness of design, spurred on by a goal of redefining the best and raising the bar ever higher, have led to a masterpiece of German craftsmanship. 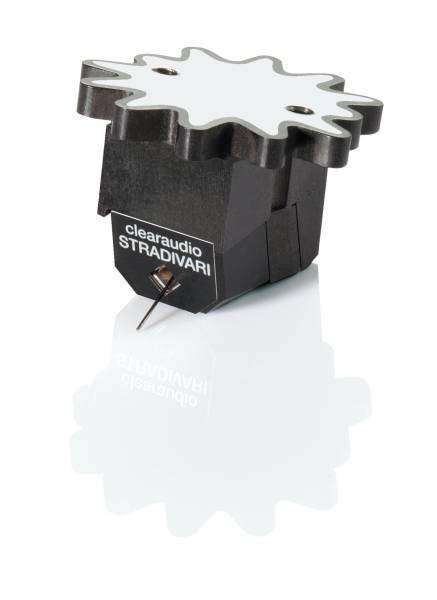 Related links to "Clearaudio Cartridge Stradivari V2 MC"
Customer evaluation for "Clearaudio Cartridge Stradivari V2 MC"